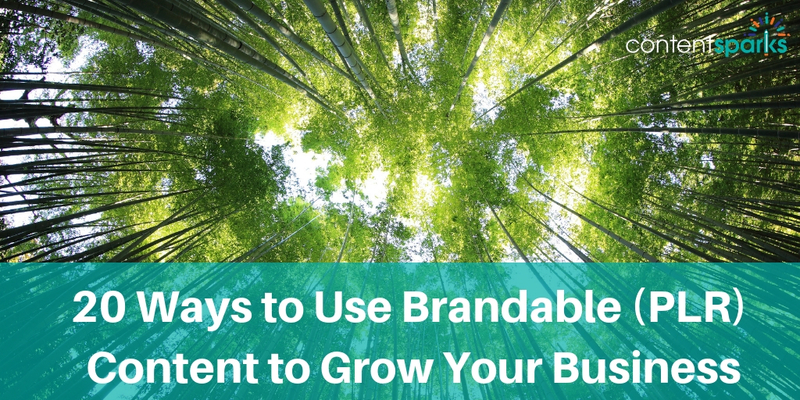 Business coaches, consultants, service providers and infoproduct sellers take advantage of brandable, done-for-you content (aka PLR) all the time. 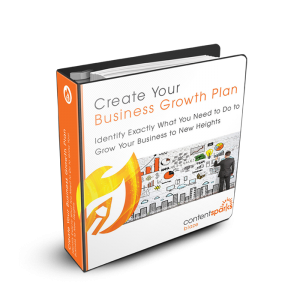 It's how you can use content to grow your business WITHOUT creating anything from scratch. But many people get stuck deciding where to start. It's easy to get overwhelmed by your own ideas or stalled coming up with a creative way to be unique. The possibilities are endless for leveraging and repurposing your content. Start by prioritizing your business growth goals. Blog posts: Use the blog posts that come in some of our packages on your own blog, Medium, LinkedIn, and for guest posts. Be sure to rewrite them a little to reflect your voice and insights. Then add a bio with a link back to your site, opt-in page, or other posts of yours. Social Media: Use the tweets to create social media posts and schedule them to share over time. You can put each tweet on an image from Unsplash to make it a visual. Remember to put a URL in your post AND image. Short videos: Create short videos from the blog post content and publish on YouTube and Vimeo. You can use a free tool like Lumen5 to quickly create the video. Share the videos with your existing list and on social media. Remember to share links to your opt-in in the video and video description. Infographics: Use the provided infographics to share on social media too. Or take a few tips from tweets, blog posts, or emails and create an infographic. Use a free tool like Canva to find an infographic template to speed up your creation of visuals. Slideshare: Customize the slides that go with our opt-in reports to create a branded slideshow. Add a link back to your opt-in page on the last slides and post it to LinkedIn’s Slideshare, as well as to your social media profile. You could even use tips from tweets to create a Slideshare! Lead magnets: Create an enticing lead magnet (opt-in gift) using our opt-in reports or cheat sheets. Opt-in pages: Use a proven template (such as those on LeadPages) to create your opt-in page. Once you have set up one with your branding, save it as a template that you can use over and over – every time you want to create a new lead magnet. Emails follow-ups: Use the tweets as idea-starters for emails to your list. Include a link to your sales page or other offers. Video lead magnet: Repurpose your slideshow to create a video. Record yourself explaining each slide, using the speaker notes provided as your guide. Then you'll have an educational video that serves as a lead magnet. Many people prefer video over text, but you can still combine the video with your opt-in report or cheat sheet. Webinars: Use the slides to create a webinar presentation. Then make that your lead magnet instead of a report. You’ll find it easier to convert leads to sales on a live webinar. NOTE: you could do the same kind of thing with a face-to-face webinar, using the slides as your presentation! Self-study course: Use a platform like Teachable to create a self-study online course. Take the text from each module and use to it create separate modules in your course. PDF Handouts: Break up our cheat sheets into separate pdf handouts for each module. Include those as downloads in your course to boost value and increase post-course implementation. Video course: Use the course slideshow to create separate videos for each module. Add those to your online course to boost value and increase the price accordingly. Live courses: Use the slideshow to do live workshops and webinars. These should have a higher price than self-study programs. Membership site: Add the course book, action guide, and cheat sheet to a paid membership site. Use the slideshow to add video or run bonus, live webinars as well. Free webinars: Surprise your customers with a free, live webinar designed to expand on a topic you've covered before or for training on other topics that will help them grow. Free course: Set up your course on a platform like Teachable. Then give free access to your best clients. You can still make it a paid course for leads or lower-end customers. eCourse: Use our text-based materials to create an eCourse that’s delivered over a series of emails. Customer challenge: Create a challenge based on one of our courses and have your customers complete one action step each day or each week. Keep the actions small for quick wins. Have people share their experience in a customer or challenge-only Facebook Group, where you can encourage and motivate them. Free strategy session: Use a part of one course to run free strategy sessions with existing clients. Then offer to go through the rest with them for a fee. Getting any ideas yet for how you can use ready-to-go content with your audience to grow your business? Remember, you can also use the content to learn from yourself first, ….and then teach it to others to achieve your business goals! If you are short on time, or just need a helping hand, use our brandable, done-for-you content to speed things up and give you a structure to follow for any of the 4 business growth areas I discussed in this article. All our content is editable, so you can add your own name and branding, adapt it to your market, add in your links, and make your content totally unique to you. For your reputation-building and customer attraction goals, use some of our Flash content or the Lead Generation materials in our complete Blaze packages. For your income growth, use one of our Beacon programs or the Student and Instructor materials in our Blaze packages. And for your customer loyalty goals, use ANY of our content. We’ve helped thousands of business coaches, consultants, educators, and others use content to grow their business and better serve their market. Our team has over 30 years of experience designing and developing top-notch training programs. So you can leverage our expertise, rather than trying to do everything yourself and wasting months in the process. You’ll get your 3 types of courses up and working for you in a fraction of the time of doing it from scratch when you have a high-quality, research-based, ready-to-teach program to work from. And you’ll watch your business grow to new heights as you tap into the power of creating online courses! Want a PDF of this post as a handy reference? Need a brandable, done-for-you course to get you started? Everything is easy to customize for your market. All you have to do is edit, and put your name and brand on the content. Then use your new courses to boost your business growth ?